With the another teaser, shadow of Honda Neo Sports Cafe is quite clear ahead of the 2017 EICMA Motor Show where this retro-styled bike is going to be uncovered. The clear mark of the bike shows inline four-cylinder engine. 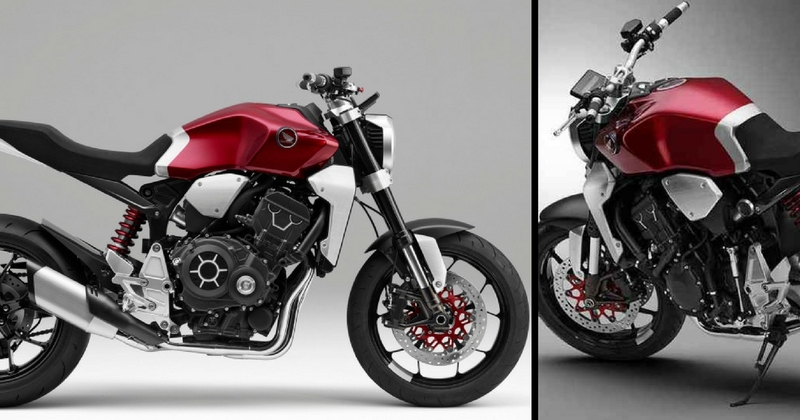 The bike is not going to own a V-twin supercharged motor which was seen in leaked patents of the bike recently. We can see the latest 2017 Honda CBR1000RR bike equipped with litre-class, inline-four engine powered by 189 HP of power. Few elements of the bike are clearly identified by the teaser highlights such as the flaunting spherical LED headlight, LED Blinker, daunting chiseled fuel tank, a strategic step-up seat posture, a rear tyre hugger connected numberplate, a semi-digital instrument console, a single-sided swingarm, and a naked roadster resembling flat handlebar which is available in retro styling signs. As mentioned above, the retro-styled bike will be going to unveil globally at the 2017 EICMA show on November 6.